This year at the Decanter World Wine Awards our wines really did us proud. Our Fusion Sparkling Muscat and our Tribute Merlot | Malbec both received Bronze Medals while our Barrique Reserve Chardonnay and Barrique Reserve Pinot Noir each received Commendation Awards. 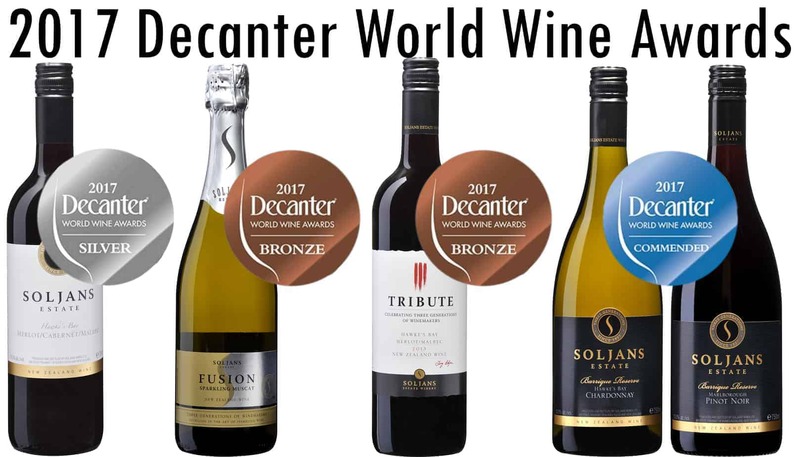 It was a privilege to have taken part in the Decanter World Awards and we are incredibly proud of how our wines have done. The award-winning wines above are all available for purchase on our online store or here at our Cellar Door in Kumeu where some might even be on tasting!